Over the last few years, the evidence that sunspots on our sun are directly related to climate change on earth has been steadily increasing.I explained the exact proposed mechanism in some detail previously. Great work in this field is being carried out by Dr Henrik Svensmark and coworkers in Denmark and elsewhere. Briefly, the mechanism is that cosmic rays impact on the earth from deep space. These cosmic rays penetrate our atmosphere and lead to the formation of cloud cover. The cosmic rays nucleate sites in the atmosphere, from which clouds form from the natural water vapour. If one puts a spoonful of coffee powder into a cup of microwaved water, the water forms bubbles of foam on the coffee grains. This is basically the same principle as the cosmic rays forming clouds in the atmosphere. 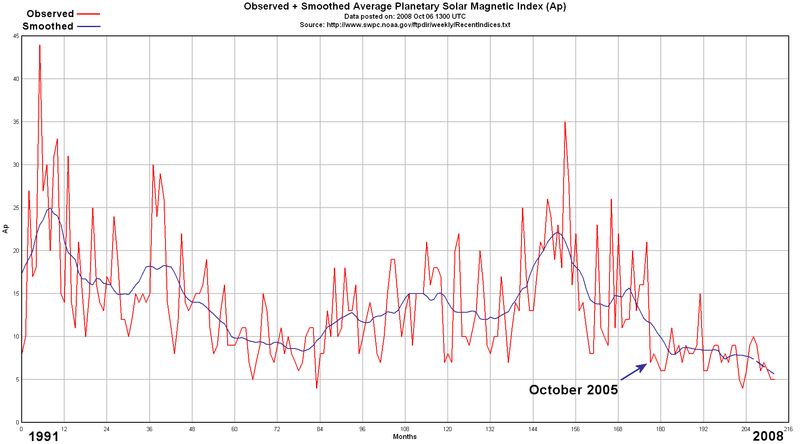 The earth’s magnetic field, which acts as a shielding, is altered by the sun’s activity, which, in turn, is indicated by means of the number of sunspots. As the earth’s magnetic shield varies, so the cloud cover varies. Few sunspots mean a weaker earth shield, which means more cosmic rays, which mean more clouds, which mean a cooling earth. The correlation for this effect, going back thousands of years, is good, remarkably so. Scientifically, this looks believable, and it is consistent with the theory and observation. In contrast, the argument that man-made carbon dioxide (CO2) is causing warming does not fit the facts at all. Firstly, there was no indus- trial CO2 produced in vast quanti- ties when the Roman Warming period occurred, or when the Medieval Warming period occurred. Both are well documented in various archives, such as the historical and archaeological. 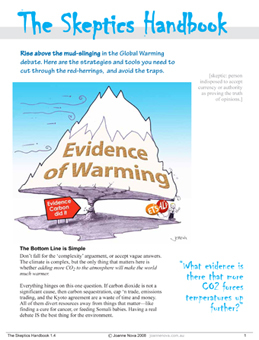 But there is more – global warming is extremely complex, and it is really naïve to believe that a relatively simple theory will explain it satisfactorily. It is far too simple just to say: CO2 traps heat and, therefore, more CO2 means more heat, and so we have global warming. As the makers of heat-seeking missiles know very well, the CO2 in the atmosphere has ‘windows’ in it. This means that certain ‘heat frequencies’ pass through the atmosphere easily but other frequencies are trapped. It is these windows that the missile uses to hunt its prey. 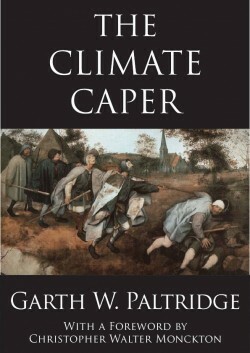 As a consequence, there are ‘frequency bands’ related to the CO2 cover of the earth. In various ‘bands’, the infrared passes through easily, or not so easily. Further, CO2 can trap incoming heat from space and outgoing heat being radiated from the earth. 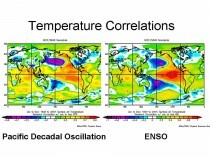 The frequency bands linked to the CO2 also become saturated – they cannot just keep sucking up more and more heat. Essentially, this CO2 argument is very complex. Over the last century, the temperature changes in our planet’s atmosphere, let alone ground and sea, just do not match the atmospheric CO2 concentration at all. This is cause for warning bells that, perhaps, this whole CO2 argument is not correct. In comparison, the cosmic ray and sunspot information match well. However, as I have said, this whole atmospheric temperature issue is very complex, and no capable scientist in the field is going to say otherwise. Right now, we have been experi- encing a rather long period of sunspot inactivity on our sun, some 200 days plus. This has happened before. Formal sun- spot data collection started in 1749 and has been monitored ever since. But long before that date, sunspots were known and informal measurements were taken. It is, therefore, known that the Little Ice Age, which took place from the midseventeenth century to the eighteenth century, was preceded and paralleled by a period of some 50 years with a virtual absence of sunspots, according to informal records. In more recent times, we have had relatively long periods without sunspots. This year, we passed the mark of 200 days without sunspots, which is unusual. In fact, the sun has been blanker now than in any other year since 1954, when it was spotless for 241 days, and this year is now being called the sun’s quietest year of the space age. The sun was also very quiet in 1913, so runs of 200-plus spotless days are rare, but not that rare. As I have already said, the global warming and cooling issue is complex, and so a run of 200-plus days without sunspots cannot be compared to a 50-year quiet period during the Little Ice Age, but it is cause for some scientific thinking. Further, a cooling that could be initiated by a lack of sunspots will induce other climatic effects that will either favour warming or cooling. The jury is still out on exactly what happens, but the evidence for sunspot involvement in climate change is just too compelling for it to be brushed aside by those who want to cling to the simplistic idea that man-made CO2 is the only factor. So far, SC24 solar magnetic activity has been in a relative funk. See my post on this very issue from last month. Fig. 1. 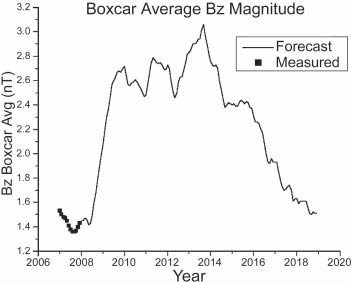 Actual boxcar averages for measured Bz(m) magnitude and the forecast results of applying the McNish- Lincoln technique. Actual data are represented by solid squares, while the calculated results are shown as a curve. The correlation between the two is due to the fact that the McNish-Lincoln method uses actual data when available. The calculated forecast is performed only for the time period after the end of the actual data. This plot shows that Bz(m) reached its minimum average magnitude in mid-2007 and has begun to increase in magnitude. The forecast is that it will continue to increase slowly through the first part of 2008, but will then begin to rapidly increase in magnitude beginning in the latter part of this year, reaching its first peak in late 2009. There seem to be two schools of thought on the activity level of SC24, those who think it will be very low, and those that think it will be higher than normal. I’ve been predicting that SC24 would be the smallest cycle in a century, so it is no surprise that it starts out weak and anemic. While I’m certainly no solar expert, based on what I’ve seen thus far, I’m inclined to agree. I think that Keating’s prediction will not be realized. This graph of Ap magnetic index will be updated in a few days, with the uptick this month in SC24 spots, perhaps we’ll also see a corresponding uptick in the Ap Index. The real world sunspot data remaining quiet month after month are mocking the curved red predictions of NOAA and about to slide underneath. Time for a rethink I reckon NOAA !! 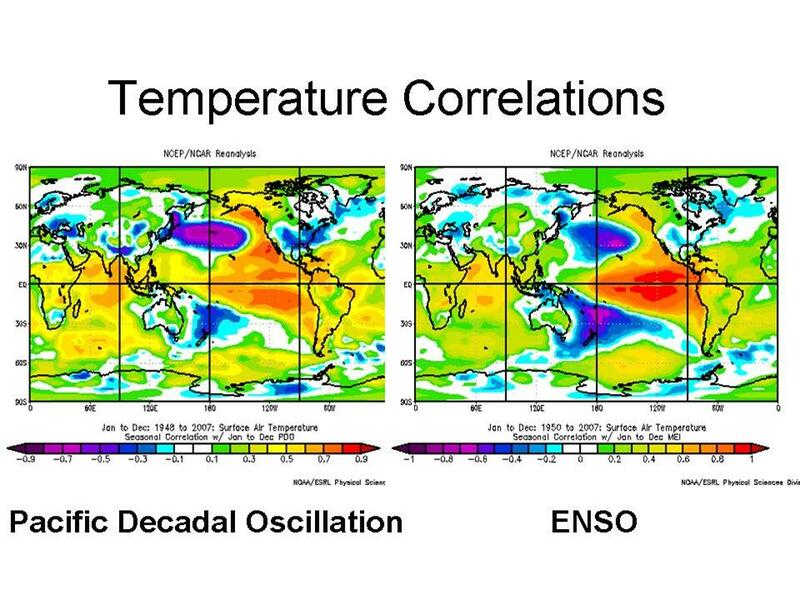 Here is my clearer chart showing the misfit between NOAA / NASA prediction and real-world data. Regular readers might remember that we started posting articles drawing attention to contrasting predictions for Solar Cycle 24, way back on 16 December 2006. Scroll to the start of my solar threads. 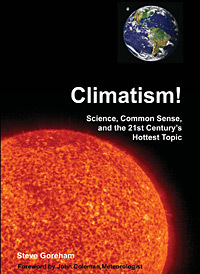 Then in March 2007 I posted David Archibald’s pdf article, “The Past and Future of Climate”. Well worth another read now, I would like to see another version of David’s Fig 12 showing where we are now in the transition from Cycle 23 to Cycle 24. Parts of south-east England had more than an inch of snow last night while London experienced its first October snowfall in more than 70 years as winter conditions arrived early. Snow settled on the ground in parts of the capital last night as temperatures dipped below zero. 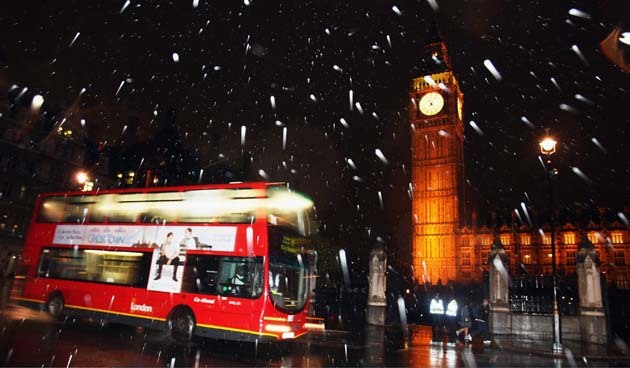 A Met Office spokeswoman said it was London’s first October snow since 1934. Posted by honestclimate in Global Cooling, Temperature. 2008 has been a great year for Polar Bears! Not only is the world no warmer today than it was in 1998, the decrease in global temperatures in 2008 has been massive. The UK Met Office has said 2008 is set be the coldest year this century(this may well be the only climate prediction they get right!). With record cold temperatures being set around the world and the arctic ice now 30% over last year, it truly has been a great year for polar bears! 1. Stepped-up sniffling. Allergies, from ragweed in the fall to tree pollen in the spring, are predicted not only to become stronger but also to enjoy lengthened seasons because of less frost and earlier blooming. Fungal spores (those outdoors and in moist basements) will most likely thrive, tickling the throats of many. 2. Algae-related complaints. Cyanobacteria, or blue-green algae, thrive and bloom in the rising temperatures of bodies of water, from municipal water systems to the Great Lakes and Florida’s Lake Okeechobee. The algae have been linked to digestive, neurological, liver, and dermatological diseases. 3. Painful kidney stones. Because of higher temperatures and more dehydration, the crystallized calcifications that must be passed — often painfully — through the urinary tract could plague an additional 2.2 million people a year by 2050, researchers estimate. The current “kidney stone belt,” which includes southern states like Florida, the Carolinas, and Arkansas, could extend up into Kentucky and northern California. 4. Exotic infections. Dengue fever, malaria and encephalitis, while not exactly household names, have seen U. S. outbreaks and upticks in incidence in recent years. Mosquitoes and plankton, which flourish in warmer water temperatures, play a key role in transmitting such diseases. 5. Itchier cases of poison ivy. Poison ivy appears to become more potent as carbon dioxide levels rise, research has suggested. 6. Surplus of stings. Alaska’s warming has heralded a six-fold rise in severe stings reported, and the buzzing bees, wasps and yellow jackets are showing up in spots never before seen. Alaska may be a harbinger for the rest of us, as its temperature changes have been the most significant in the United States. 7. Fewer fruits available. The value of crops produced in the Yakima River Valley of Washington State —more than 6,000 square miles of orchards and farmland east of Seattle — may drop almost a quarter as temperatures rise over the coming decades. Less water for irrigation from nearby mountain snowpack could drive down fruit availability and drive up the cost of the produce. 8. Upsurge in summertime hacking and wheezing. Cool breezes coming down from Canada could diminish, driving up ozone pollution at ground level — particularly in the Northeast and Midwest — say some Harvard University scientists. Possible result: irritated lungs, especially in people with respiratory illness. 9. Deluge of heat-wave deaths. Already a risk to the very young and the very old in the summer months, strings of hot and humid days are expected to become more frequent and more severe, says the Intergovernmental Panel on Climate Change. In California, for example, such deaths could double by 2100. 10. Bigger coastal storms. The flooding associated with the likes of hurricanes Katrina and Ike, and the physical and mental stresses that ensue, are expected to occur more frequently as storms surge around the world. By 2050, a 1-foot rise in sea level is predicted, which could worsen flood damage by 36 percent to 58 percent. 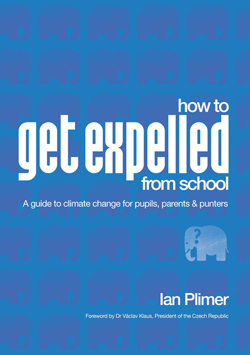 Dr Vincent Gray, expert reviewer of IPCC Assessment Reports since their inception, has up-dated his extensive paper, “The Global Warming Scam”, in which he shows that none of the evidence presented by IPCC confirms a relationship between emissions of greenhouse gases and any harmful effect on the climate. “The credit crunch is rightly a preoccupation of vast significance and importance. But we take our eye off the climate crunch at our peril,” he said in a speech at a science museum in Tokyo. The heir to the British throne is visiting the world’s second-largest economy for the first time since 1970, and his arrival coincides with plunging global markets and recession fears. But he has made saving the environment the theme of his trip, and spoke Tuesday after viewing exhibits related to global warming at Japan’s National Museum of Emerging Science and Innovation. The prince is in the midst of a four-day jaunt through the country, which coincides with the 150th anniversary of diplomatic relations between Britain and Japan. 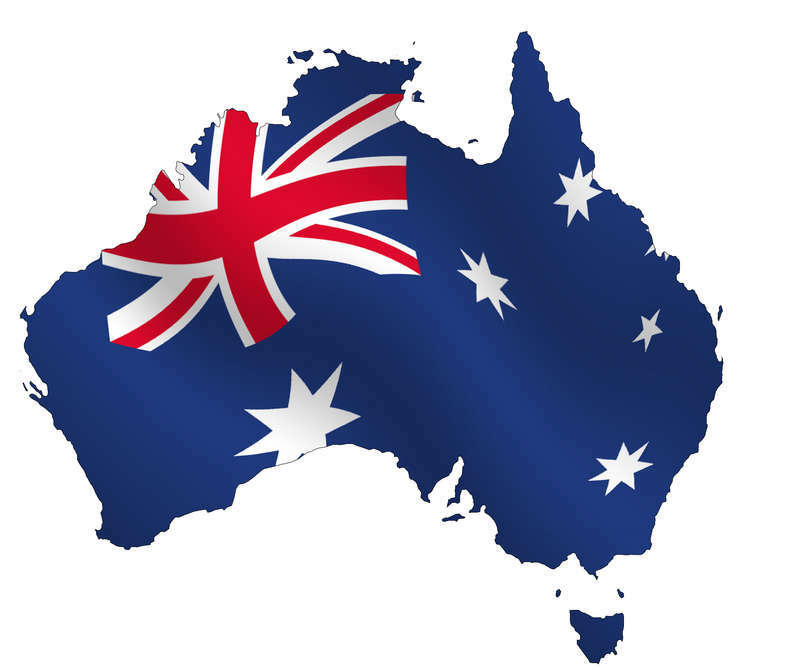 He is due to visit a solar panel lab, meet ecology students and tour a sustainable forest site, before continuing on to Brunei and Indonesia. His wife Camilla, the Duchess of Cornwall, is accompanying him on the Japan and Brunei portion of the trip. He also emphasized the business ties between Britain and Japan, and praised the country for its role in the adoption by many countries of the Kyoto Protocol, while emphasizing that further progress was necessary to stave off global warming. The prince has increasingly used his publicity to highlight environmental problems. He has made efforts to cut his overall annual carbon dioxide production, including converting his 38-year old Aston Martin to run on bioethanol from surplus wine, while his Jaguars, Audi and Range Rover now take biodiesel made from used cooking oil.